Adamstown, Maryland - Carroll Manor Fire Company, Inc. Frederick County Station 14. Adamstown, Maryland in Frederick County. Carroll Manor Fire Company. Engine 141 - 2015 Pierce Arrow XT 1500/750. Photographed September, 2015. 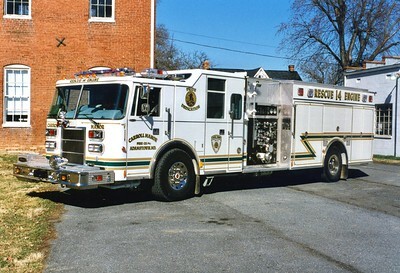 Rescue Engine 14 is a 1996 Pierce Lance, 1250/650/100, sn- EA041. Tanker 14 is a 1989 Pierce Dash, 1000/1500, sn- E4489. Adamstown, Maryland in Frederick County. 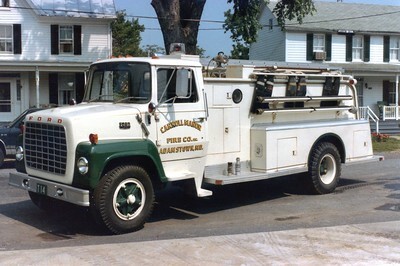 Carroll Manor Fire Company. 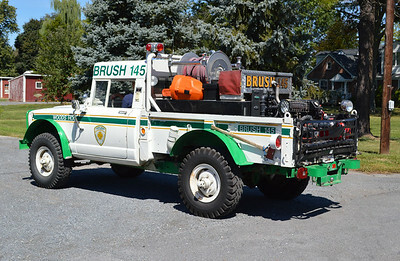 Brush 145, a 1969 Kaiser Jeep 1 3/4 ton M715/1998 Marks rehab. 300/275. Photographed September, 2015. Rear View - Adamstown, Maryland in Frederick County. 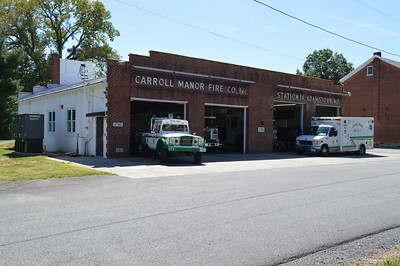 Carroll Manor Fire Company. 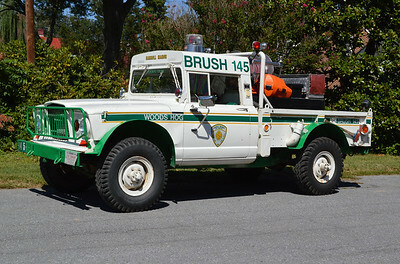 Brush 145, a 1969 Kaiser Jeep 1 3/4 ton M715/1998 Marks rehab. 300/275. Photographed September, 2015. Utility 14 is a Chevy step-van. 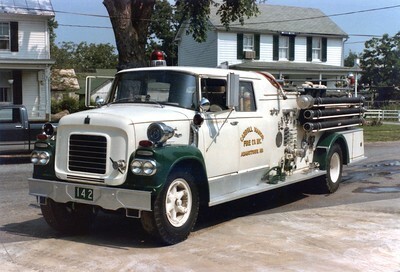 Engine 142, a 1962 International/American, 750/500. Carroll Manor's first new truck. 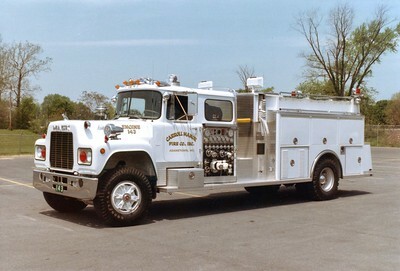 Former Engine 141, a nice 1968 International L1800 Loadster/American, 750/500, sn- 3071. Rehabbed in 1985 by Mt. Etna. Sold in the 1990's. 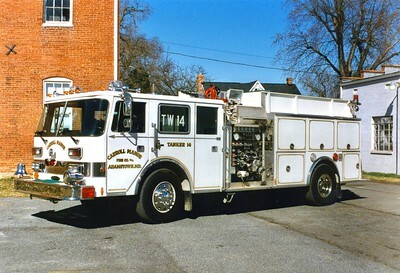 A very unusual Engine/Tanker 143 for the Carroll Manor Fire Company in Adamstown, Maryland. 1982 Mack R 686FC/3D Metals/2003 Local with a 1000/1500. 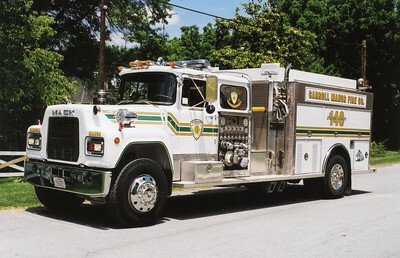 Former Engine 143, a nice 1982 Mack R/3D Metals, 1000/1000. 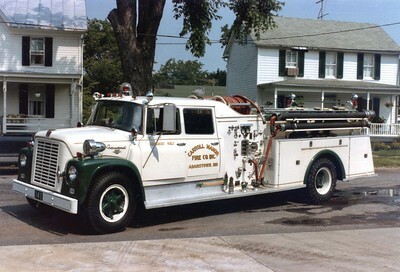 Tanker 14 was a 1973 Ford/Shankle, 250/1500. 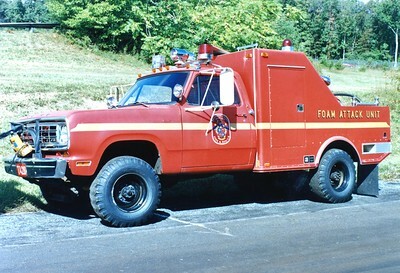 The Training Academy's 1975 Dodge/Ansul, 450# Purple K/100 AFFF. ex - Silver Spring, Maryland. 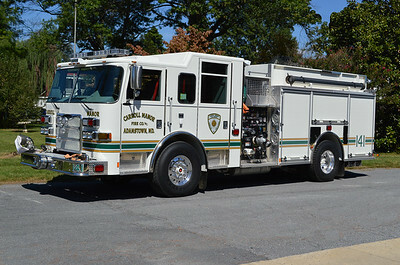 Sold to Carroll Manor Fire Company (Frederick County), Maryland. 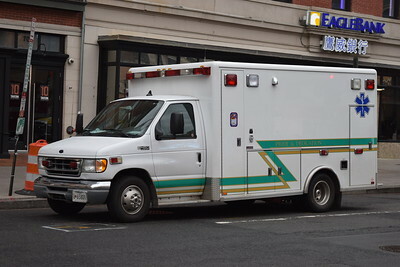 Frederick County reserve ambulance, a 2002 Ford E-450/Horton. 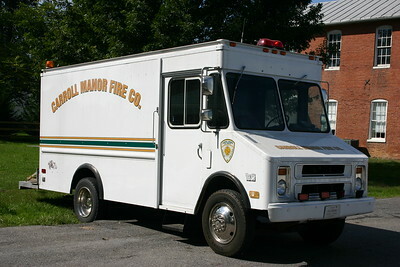 Former Carroll Manor Ambulance 148.